Learn English plus Golf in London with the Nacel English School London! Practise Golf just behind the school! 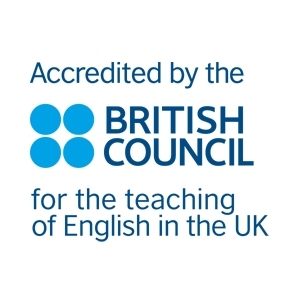 The Nacel English School London is located less than 1,6 miles/2,5km from the Finchley Golf Club. The club offers a 18 hole course in a quiet and green environment. 2 restaurants and a bar are also offered to members. Attend your English classes on weekday mornings at the Nacel English School London and join the Golf club in the afternoon. You may attend Golf lessons given by a professional coach (consult us) or just book a tee time online. A great way to practise your English with locals! During the spring and summer months, we advise you to book your tee time on weekdays after 5 or 6pm to benefit from the best rates. During the fall and winter months, the best rates are available after 12pm. If you stay for several months, look at the flexible membership options. Please consult the Club’s online shop and dress code information. Book early! Explore a new club every day! 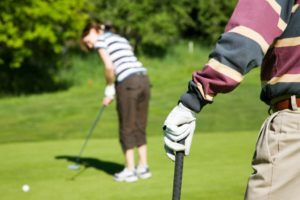 English plus Golf in London: a combination of English study and English experience for an enriching and enjoyable stay in England!